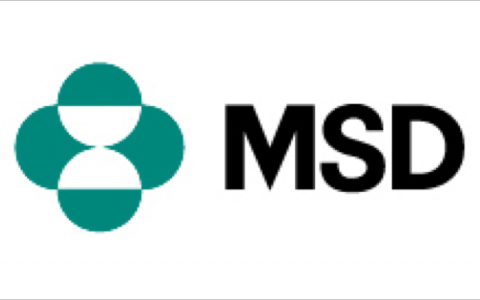 MSD ANZ is a wholly owned subsidiary of Merck Pharmaceuticals, a US listed company with a long heritage of bringing innovative medicines and vaccines to patients, such as world first statins to control cholesterol. When Dr. Susanne ‘Susi’ Fiedler became Managing Director of MSD ANZ, she faced dramatic changes to the healthcare landscape. The pharmaceutical industry was experiencing increasing competition from generic companies, government agencies reluctant to fund new drugs, longer R&D cycles to bring more specialized products to market, culminating in a shorter timeframe and smaller market from which to generate returns. The ANZ subsidiary also had a poor profile in the global business, however Susi and her leadership team believed the local business had the potential to play a leading role in the Asia-pacific region and broader global business. Susi engaged TAP with the ultimate aim of transforming the MSD business across all critical metrics; from financial performance, to customer advocacy, innovation, employee commitment and leadership effectiveness. Following a thorough alignment review of the organisation and its leaders, TAP and MSD agreed on a road map for transformation. Together, we defined a bold vision of the future, then built a compelling story so that every team member could see their contribution to that future. The structure and makeup of the executive team was adjusted to better serve MSD’s bold ambitions. Together, we turned MSD’s leadership principles into standards and these became the minimum expected levels of behaviour for all staff. We coached senior leaders to dramatically increase their leadership effectiveness, including shifting the focus from protecting people to encouraging high levels of achievement and innovation. The leadership work was then extended beyond the executive team to the top 35 leaders, creating a huge snowball of momentum toward the ambitions. Even still, the senior leader group realized they could not transform the business alone. They regularly engaged a wider group of colleagues to continually shape the strategy, to identify business efficiencies, and to execute their ambitious plans. Business performance and strategy were fully disclosed at regular town hall meetings to all staff, and no question was off-limits. Meanwhile, Susi and her team proactively engaged regional and global colleagues in ANZ’s transformation agenda, and shared their learnings widely. Consequently, many of the practices pioneered in ANZ were picked up and implemented in other MSD businesses around the globe. MSD ANZ has become a case study of transformation and has been recognized for its outstanding performance across numerous metrics. Financial results include an increase in overall market share, double digit growth in key products, a 31% reduction in expenses, whilst increasing gross revenue against competitors. The Evolution Index (EI), a key industry metric which measures product growth relative to the market, shows strong product growth compared to competitors, despite a 40% price cut in MSD ANZ’s two biggest drugs. In the MSD global engagement survey, ANZ achieved 82% overall engagement, an amazing 94% for discretionary effort, and reputation and trust at 87%. Innovation scores have increased more than 10% and ANZ is now at, or above, the ‘high performing norm’ in most items. MSD ANZ has also received several industry awards for innovative practices, while simultaneously achieving significant outcomes with government partners the Therapeutic Goods Administration, including the recent ‘fastest-ever’ pre-approval of a breakthrough drug. “I engaged TAP to help me transform our organisation from top to bottom. I wanted to unleash the passion of our people, and break down the walls to us becoming a high performing, innovative organization. Just two years on, our journey has been nothing short of amazing. The TAP team have been brilliant partners. Angie is a great consultant; she tells you the ‘whole truth’, constantly provokes you with ideas to improve, holds you accountable to your commitments, and is there to help and support 24/7. Peter is one of the smartest people I have ever met. He has helped me immensely through a very challenging time and broadened my horizon enormously.